The Baltimore Symphony Musicians must outwit a fearsome wolf that threatens musicians and audience alike! The library auditorium will become the dramatic setting and musicians become the characters as Prokofiev’s exhilarating musical tale springs to life, putting kids on the edge of their seats. Children's librarians Ms. Kelsey and Ms. Paula narrate in English and Spanish. 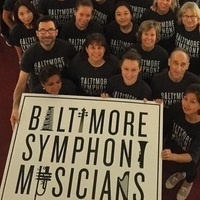 Before the concert, join the OrchKids of Highlandtown School 215 for a mini-concert!